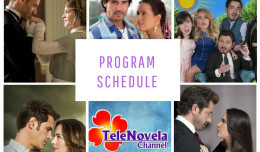 The Two Sides of Ana: Episode 14 | TeleNovela Channel - Bringing you closer to lifes drama. Ana captures the hearts of the Bustamante brothers—Rafael and Vicente. As her quest to find justice still stands, her new identity as Marcia is now at play.